It features a much cleaner UI, especially with themes and editors. We've also made some optimizations that lead to a roughly 30% increase in initial startup performance. Simple, but smart optimizations, like prioritizing loading of preferences before notes so that the proper sort order is set before notes start populating, and loading most recently modified items first, before any older items. The result is simple but drastic. 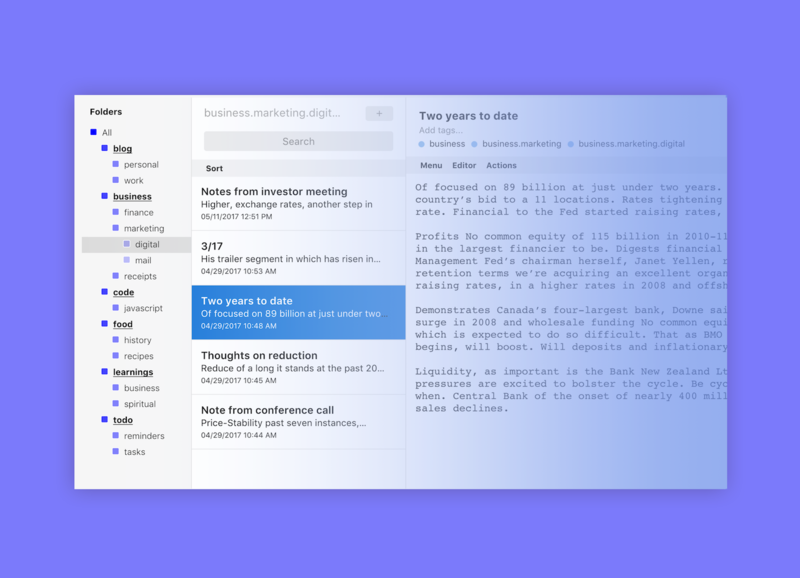 Yes—spreadsheets inside the comfort and privacy of Standard Notes. And it's really wonderful, with formatting, merging, formulas, currencies, and more. Excellent for small financial worksheets, like cryptocurrency tracking. 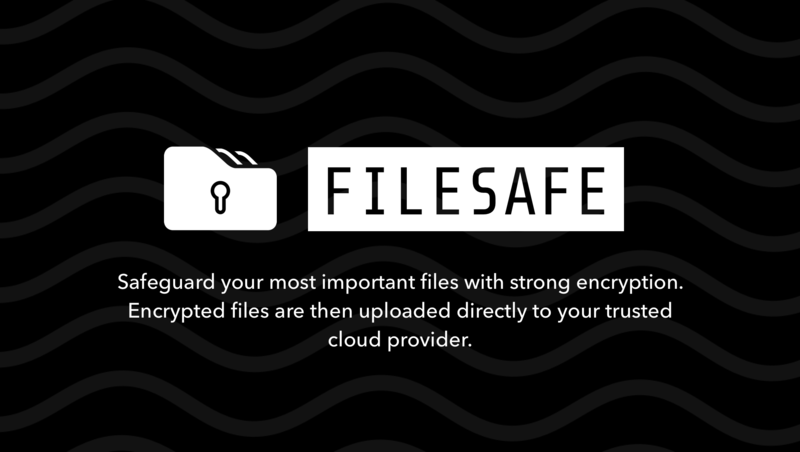 Files are deleted immediately after the recipient downloads them, or after specified duration. Extended members get some extra power-features, like email confirmation when their file is downloaded. It's also completely open-source, so feel free to self-host to get your own personal file-sharing portal. 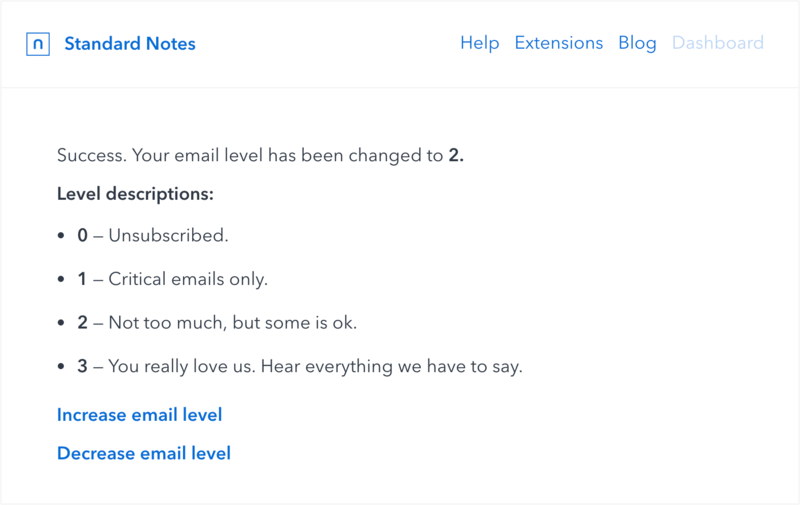 You can now gift a Standard Notes Extended subscription to someone else, whether it be a friend or someone in your company. You can also choose whether you'd like the subscription to auto-renew with your payment (defaults to no). If you know someone that can benefit from encrypted writing, a gifted subscription can be an excellent choice. On that same note, we've made it easier for Extended members to extend their subscription with extra time. Previously you had to cancel and then renew, but now it's much simpler. This is possible because we've rewritten much of the subscription management to be under our manual control, rather than relying on out-of-the-box solutions from Stripe and PayPal, which provide convenience but low flexibility. If you want to extend your subscription with more time, or change your plan, click the title link above. We're also happy to offer a new "economic difficulty" discount, if you so need one. While the need for privacy continues to grow, we're still largely a speciality product, and speciality products need to be selective with their pricing. Ultimately, however, we don't want price to be a factor in whether you use Standard Notes or not. If you truly cannot afford our prices, then get in touch, and let's explore other options. Please note that we will likely be very selective with this as we experiment more with the idea. Any discount we do provide is only subsidized by other paying users, so please be respectful of their time and contribution before you make a request. I realize that saying Mark Zuckerberg in a privacy-centric email like this is like saying Voldemort at Hogwarts, but one of the largest technology companies in the world announced a new desire to shift towards a more privacy-centric direction. Sham or not, it's some serious validation for privacy enthusiasts who have for decades argued that privacy is the only way forward. And for all of us that have been taking privacy seriously "long before it was cool", it feels good to be on the right side of history. We wrote a post with more thoughts about our revenue model, and alternatives we could have explored. Our life might have been simpler adopting the "Netflix" model of a completely paywalled service, but the "freemium" model has been our fate, and deciding the balance between paid and free is tremendously difficult. We write this post as a general answer to the not too unfamiliar question of "Why is this feature paid and not free?" "Everyone asks what is SN but no one asks how is SN." We're doing great, thanks for asking. Financially, we stand on stable ground. Generally, subscription revenue makes sustainability a much easier topic than if we featured a one-time payment model. We don't think we'll be going anywhere anytime soon, especially with the upward trend of privacy. We're grateful to everyone who believes in us enough to be a paid subscriber. It's really you offering this application to the world, and not us. We're excited to see what the next ten years bring, both in terms of challenging ourselves to keep the application as simple as possible, and yet continuing to innovate in the space of extensibility and data care. It's not everyday we get a chance to communicate directly with so many of you at once. So, if you cared enough about our updates to read this far, thank you. And quite literally, none of this would be possible without your support. While advertisers might have tried to convince us all otherwise, nothing on the internet is truly free. We realize that saying this is mighty convenient for our own cause, but we do truly believe: pay for software you love. That's the only way it sticks around. If you haven't yet gotten the chance to give Extended a try, feel free to give it a go. We have a special 5-year plan that comes out to $30/year as a sort of fundraising model (#NoIPO). Of course, we only want your money if you're really going to get the most of all the additional productivity tools Extended offers, so we offer full refunds within 30 days. This post was sent as an email newsletter to Standard Notes users on March 13, 2019. To better answer that question, we'll take a small look back at our history, and alternatives we could have entertained. Ideally for us, the entirety of the product would have been a straight-forward "pay to use" interaction. This would translate to 100% payment-supported interactions between us and our users, in terms of both infrastructure and support. However, early on, launching as a fully paid product can be a bit risky. Users need to trust the product in order to pay for it, yet how can they trust something they haven’t used? A free trial perhaps? Maybe, but with something like notes, it may take several months before you feel settled in. The “some but not all” model seemed to be the best fit for our situation. Physical circumstances aside, and ideologically, we’re a free product that wants to be paid. Long-term sustainability is hard, and without every user contributing their fair share, longevity enters into question. The freemium model is very conducive towards growth and attracting a large number of free users in hopes they become paid users. However, unchecked exponential growth isn’t what we’re after. If the best of the freemium model is hundreds of millions of free users with a seemingly standard industry conversion rate of 5% to paid, this would call on the 5% to support the entirety of infrastructure and support interactions on behalf of the hundred million. It’s quite an awkward balance. When we get the reaction that two-factor authentication (or a dark theme, or a Markdown editor) should—nay, must—be a free, core feature, our reaction is: well, who’s paying for it? We certainly can’t be the one to subsidize that feature, and neither can our non-existent advertisers. So we look to our paid Extended subscribers. They have to foot the bill, on behalf of everyone else that may not want to pay at all for any feature of Standard Notes. And this brings us to the most essential challenge of all: we built Standard Notes to be feature-complete without any extensions. That super slimmed down encrypted notes application where you could only write text and sync it to your other devices with no images or files or formatting? That was the entire vision for Standard Notes. But people wanted more. And we needed a revenue model. So we built an extensions infrastructure that extends functionality without jeopardizing maintainability and stability. By nature, these extensions were “nice-to-have”—that is, a large number of our users said, “I don’t utterly need these features—the free version is sufficient.” And so what happens when a large number of people begin saying “the free version is sufficient”? Well, there become not enough people paying to subsidize free users. We needed to make Extended more essential. More important. Otherwise, this platform couldn’t exist at all. Some users may think, “this feature should be free” or “that feature should come standard”, and so they imagine a world where the perfect notes app comes fully-suited out of the box at no cost. For us, this world is dangerous, and quite simply, cannot exist. Some may see our nice free application, and think, this would be near perfect, if only it had a dark theme for free! It’s not too uncommon that a negative review might say that exact thing. Such users may, upon seeing a free application with a nice-to-have feature behind a paywall, think ah, so close! Almost within reach! But the money-minded devs put it behind a paywall! The world thus imagined is that a great piece of software or an instrumental feature should be completely free, because the work to build it is one-time and already done. The world imagined is one where beloved advertisers, who have raised us and shaped our beliefs on the internet since its inception, pay the bill and continue to decide what is and isn’t appropriate content. The world they envision is precisely the one we’re trying to change. So, the answer to the general question of “why is this feature paid?” is that if it weren’t, we wouldn't be here today, and you wouldn’t be asking that question. The key privilege is "View Protected Notes". If you protect a note and enable this privilege, credentials will be required to access/view the note. 3.0 also introduces autolock, which allows you to specify when the app should automatically lock itself if you have a passcode lock. The autolock timer begins when the window loses focus. Themes will now look much more consistent, especially across extensions. All Extended themes have also been revamped to look much cleaner and thicker. Themes are now easier to toggle between using dock shortcuts, which will automatically appear in the bottom right corner when you install or update your themes to the latest version. Reverse sort option to sort by date added, modified, and title in reverse. Editor stack extensions (like the Action Bar and FileSafe) can now be quickly toggled using the dock below the editor. Stack extensions are now disabled by default for every note, and can be permanently enabled by toggling the extension for that note. Consistent Windows scrollbars across all extensions and themes. Lock screen will now use last active theme. Expired Extended will now result in extensions being put in read-only mode, rather than seeing a blocking "Expired Extended" screen. 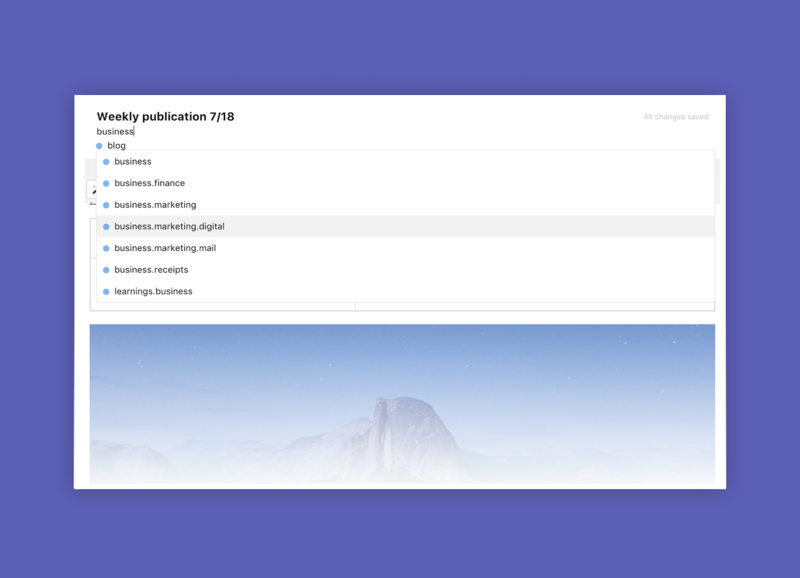 Session history and Note history will now display with the note's respective editor, if applicable. Panel resizers will now blend in with the editor UI more when they are collapsed. On Mac, the notes panel and editor panel will also automatically adjust to avoid the window management buttons in the top left. Loading editors and extensions using dark themes should now see the white flicker disappear for the most part. You may still see it occasionally, just due to the differences in loading speed from time to time. Extensions that have difficulty loading will now automatically try reloading. Almost every extension was updated as a result of this update (editors, themes, and other extensions like Folders and Quick Tags). With the web app, the latest version of extensions will automatically be used (you may have to explicitly clear your cache). With the desktop app, the extensions should autoupdate. However, if you notice any inconsistency between themes and editors, you may be seeing a cached version. Please be sure to open the Extensions manager and make sure all updates have been applied, then refresh the app.